"In early twentieth-century Toronto, Canada, the first stirrings of a new movement of painting were being felt. A group of artists started to engage with the awesome Canadian wilderness, a landscape previously considered too wild and untamed to inspire true art. Leading the way was Tom Thomson. In little more than three years of electrifying creativity before his premature death in 1917 he formulated an artistic language that captured the unique qualities of the Canadian landscape. Three years later his friends--Lawren Harris, J.E.H. MacDonald, Arthur Lismer, Frederick Varley, Frank Johnston, Franklin Carmichael and A.Y. Jackson--formed the Group of Seven. 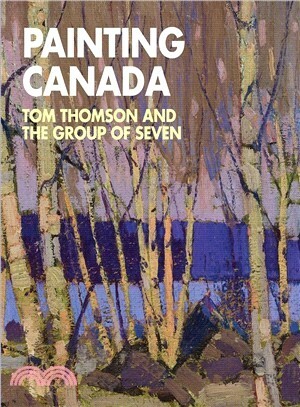 They built on Thomson's legacy to produce a landscape style that to this day influences the way Canadians visualise their country, and their paintings are national icons in Canada. This book tells of the Group's collective quest to depict Canada in paint. It recounts their beginnings, the challenges they faced and the remarkable and often extreme journeys they undertook in search of new subject matter. Essays explore the artists' relationship with the Arctic north, and analyse Thomson's art through the prism of the prevalent scientific theories of the day. A fresh, European perspective on these Canadians is offered in essays exploring their links with Scandinavian art and European expressionism. Beautifully illustrated with over 120 colour reproductions of their work, and maps indicating the geographical range covered by this selection of paintings, this book offers an insight into the history of this important--yet little-known in Europe--artistic movement." --Publisher's website. Ian Dejardin has spent 25 years working in museums, spending a year with English Heritage before starting as curatorial assistant at the Royal Academy in 1987. From 1990-98, he was back with English Heritage, as Senior Curator and Head of the Historic Team, London Region, before accepting the post of Curator at Dulwich Picture Gallery. He became the Gallery’s Director in April, 2005. He has organized countless exhibitions over the years, acting as co-curator for Henry Moore at Dulwich in 2004.Anna Hudson is Associate Professor, York University, Toronto; Katerina Atanassova is Chief Curator, McMichael Canadian Art Collection; Nils Ohlsen is Director of Old Master and Modern Art, National Museum, Norway; Marietta Jansen is Curator, Groninger Museum, Netherlands.